James H. Herring is a native of Canton, Mississippi, where he resides with his wife, Beverly. Mr. and Mrs. Herring have a son, James, two daughters, Caroline and Christine and six grandchildren. He is an Elder at Grace Chapel Presbyterian Church of Madison, Mississippi. After receiving his Bachelor of Arts and Juris Doctor degrees from the University of Mississippi, Mr. Herring served three (3) years on active duty in the U.S. Army as a member of the Judge Advocate General's Corps. He later served approximately 21 years as a Reservist and eventually attained the rank of Colonel (0-6) in the U.S. Army. Along the way he received the Army Commendation Medal and three Meritorious Service Medals. He was elected District Attorney for the 20th Circuit District of Mississippi in 1971 and served as the Madison County, Mississippi Prosecuting Attorney prior to that time. His many years of legal practice have included extensive experience in general trial practice in state and federal courts; Mississippi Public Service Commission litigation involving franchise and regulatory rights as well as rates charged by public and private utilities; and municipal annexation and incorporation litigation. He is an acknowledged expert in litigation involving public and private water and wastewater companies; and has made scholarly presentations on water and sewer law before their national trade organization. In addition, Mr. Herring has appeared on many occasions as an advocate for clients before the Mississippi Supreme Court and the Mississippi Court of Appeals. After being appointed by Governor Kirk Fordice to the Mississippi State Personnel Board in 1996, Governor Fordice then appointed Mr. Herring to the Mississippi Court of Appeals in 1997. While serving as a member of the Court of Appeals, Judge Herring participated in over 1,000 decisions on the merits and personally authored numerous majority opinions, a number of which were published. He has also served as a Special Judge on the Mississippi Supreme Court by appointment of Governor Haley Barbour. Mr. Herring currently serves as senior partner of Herring, Long and Crews, P.C., of Canton, Mississippi. He served as Chairman of the Mississippi Republican Party for seven (7) years; as a member of the Executive and Rules Committees of the Republican National Committee ("RNC"); and, through an appointment by the Chairman of the RNC, he served as "Chairman of the Chairmen" of all State Republican Parties throughout the United States and its territories. Mr. 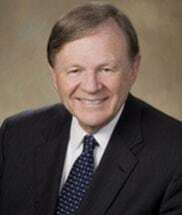 Herring was later appointed by President George W. Bush to the Board of Trustees of the Christopher Columbus Fellowship Foundation for a term of six (6) years and served as Vice Chairman of the Foundation Board. He currently serves as a member of the Board of Directors of the Mississippi Center for Public Policy and served as transition chairman for Mississippi's Governor Phil Bryant at the beginning of his administration in 2012.